The Gemini “Freestyle” 37 is a completely new concept in boat design and customization. In a world where flexibility is key, this new design provides the platform on which to build your sailing dreams - tailored however you see fit. 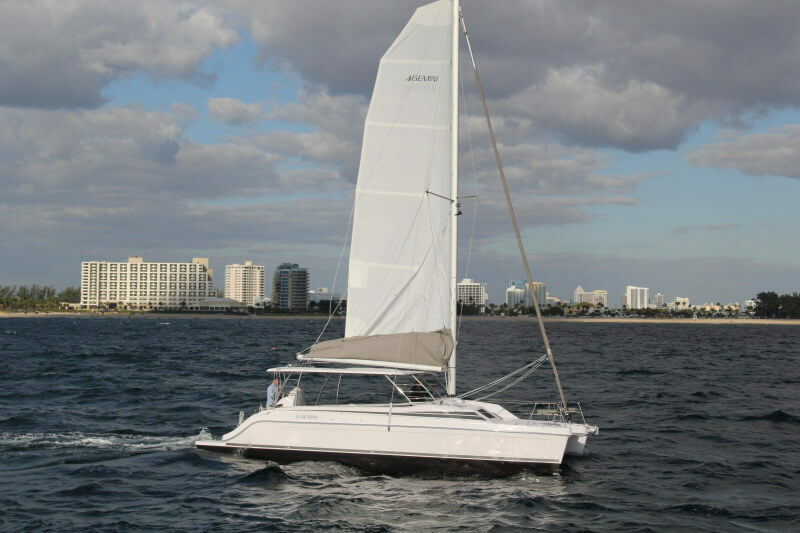 Your Gemini “Freestyle” 37 can be outfitted as a basic family sailing catamaran, a commercial day-charter boat, or maybe your vision includes luxury appointments for relaxation and dining including chaise lounges, an outdoor galley and wraparound bar. Whatever your idea of the perfect boat is - the Gemini “Freestyle” 37 is the most flexible and accommodating design available. Of course; her very essence is built upon the most popular cruising catamarans ever built, the Gemini 105Mc and the Legacy 35.